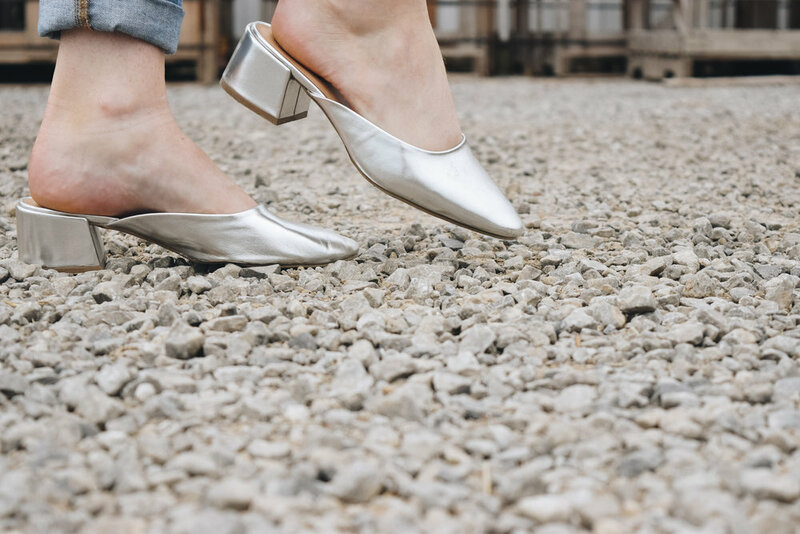 I remember a decade ago when metallic accessories and shoes were all the rage, I wore them then and fast forward to today I am still very much a fan of adding metallics to a casual outfit. Elevated, simple, and totally put together. They make me feel a little trendier than I am but style has no rules, and if I want to be trendy then that's what will happen. These babies are from forever21 who also had a similar open toed pair linked here for under $30. 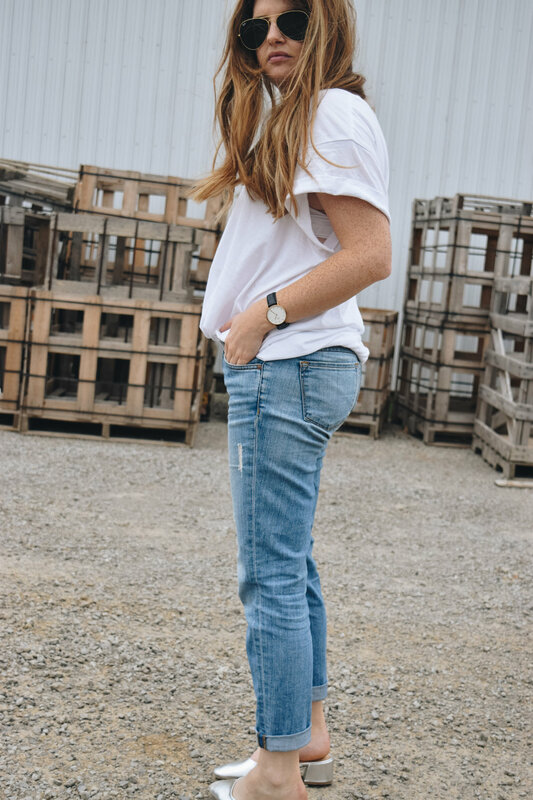 Denim and a plain white t-shirt are my go-tos for any season, but paired with a leather jacket, forest green military jacket or even a denim jacket we have ourselves a really good fall staple wardrobe. 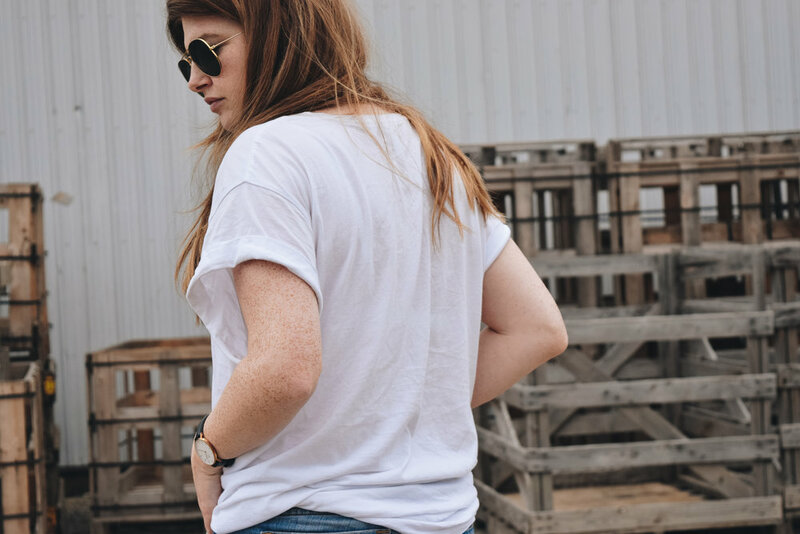 But you already know that, I don't know anyone who doesn't have their favourite pair of denim and their favourite white t-shirt always on rotation, keeping the front of their closet home all year. These J Brands are a staple for me similar here, the fabric is SO soft and the fit is slouchy and very comfortable. The t-shirt is surprise from H&M. I always always buy their basics because their under $10 price tag and the fact that I spill everything on white, it's a safe place to stock pile your basics. 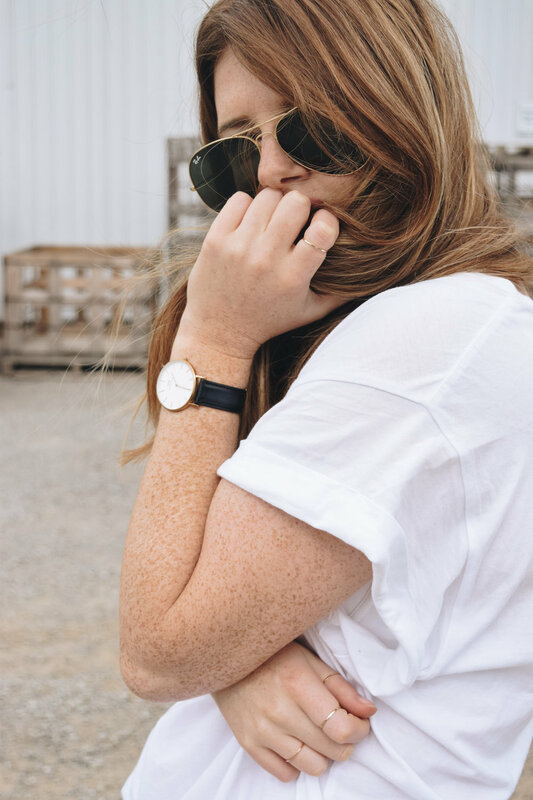 This one in the photo is linked here and has become one of my favourite pieces to throw on with anything. Fall is one of the best seasons to experiment with style, with the ability to layer you can add statement pieces and go out of your comfort zone, with the comfort of having your favourite piece included in the ensemble. I've finally begun to pick out pieces for the next few weeks and for winter so you'll be seeing more autumn posts in the next month, let me know below what you would like to see from me! I always feel that fall is the end of the old, and in with the new and the season really gives a sense of excitement for the months ahead.